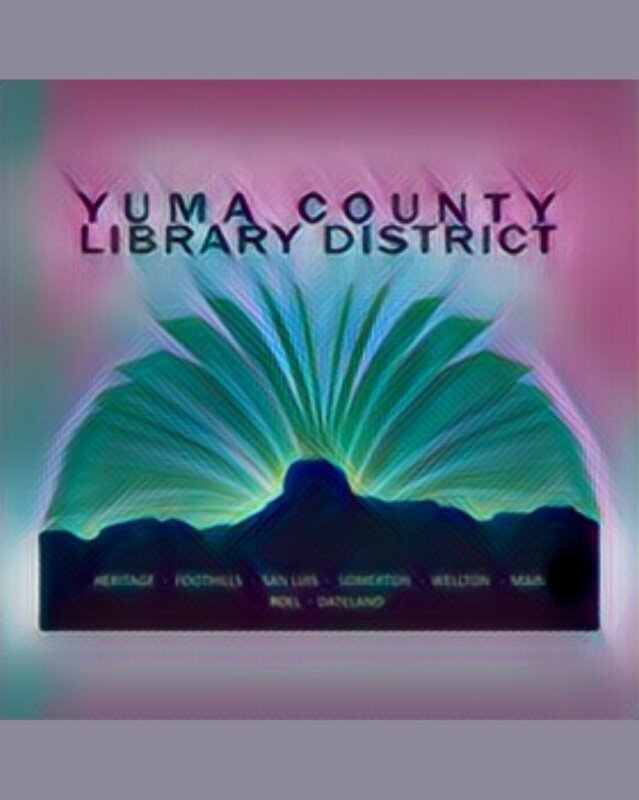 That is how the San Luis branch of the Yuma County Library describes its 5th annual Art Exhibit, which ran from early September through the middle of October. With the help of local organizations and the rest of the community, the event showcased artists who express their love and devotion towards their Hispanic heritage through their visual creations. “We have been perceived as a hardworking community who don’t fully understand what art is and should be, but this gallery is proof that says otherwise,” said event coordinator Carmen Spaniard. Spaniard added that South Yuma County has traditionally been mostly an agricultural community, but she hopes that in the future it will become known for more diverse qualities. Before this exhibit, visual art in the area was mostly seen as extracurricular school activity, according to Spaniard, and most exhibits were held at school or community park events. In 2014 the library branch opened its first exhibit, inviting artists from far and wide to lend a hand. The exhibit has always followed the same concept revolving around Hispanic Heritage Month, when people come together and celebrate their cultural roots, as a tribute to those who have worked hard in this country. Volunteers from local entities such as Galeria Café and the City of San Luis have always helped with the event. Arizona Western College and public schools from various communities such as Kofa High and San Pasqual Elementary also have turned in some of their own art pieces. Major Artists from both sides of the border such as Martin Ezzre and Enoc Palafox have come to join in, as well as Jose Luis Nevarez (“Chuacasso”) and Patricia Lopez Lopez from Sinaloa, who donated some of their pieces. Many aspiring young artists eventually contributed their work, demonstrating that this town has more to offer than what many believed. Social media might be an obvious choice for some to showcase their work, but these artists seem to favor notoriety from their own community over an online strategy. In all, the library collected more than 100 art pieces. Carmen Arvizu is one of those who has been working with art since she was in high school. She enjoys being an artist because it’s a way one can express emotions, thoughts and hard work. She enjoys working with abstract and contemporary media because she says that style best reflects her personality and her life.